Are you ready to take control of the hearing problem that has been bothering you for years? Each of our Maryland offices in Pokomoke City, Salisbury, and Berlin is staffed with hearing care providers dedicated to helping hearing loss patients get proper diagnosis and treatment for their conditions, bringing them back to the activities and lifestyle they used to enjoy. Our products and services can restore lost hearing, prevent cognitive decline, and keep residents active and independent for years to come! Hearing Testing and Screening. Are you having a hard time hearing individuals in conversations? Do you keep turning the TV up louder and louder? You may be in the initial stages of hearing loss. In our offices, patients can take advantage of a free hearing screening by a trained hearing care provider. Hearing Aid Devices. All of our hearing aids are made by world-renowned hearing aid makers Resound and Widex. We can create custom molds for your in-the-canal device, or fit you with a behind-the-ear model that is clear and comfortable. We also offer 0% financing plans, accept major credit cards and many insurance plans, and offering free trials for you to test out your chosen device at home. Hearing Aid Repair and Maintenance. 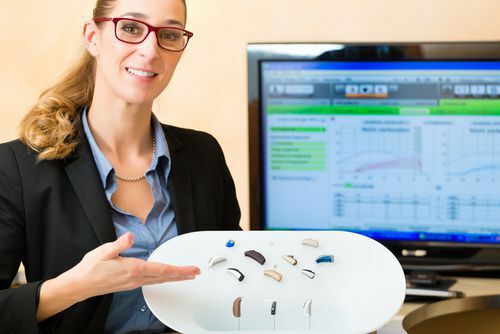 Many people continue to use broken or malfunctioning hearing aids simply to avoid the cost of replacing them. Our hearing care specialists can examine your device to determine the problem and can repair most hearing aid devices in-house. We can also clean, optimize, and reprogram your device—even if it was not purchased from us. Tinnitus Evaluation. Have you been struggling to concentrate or sleep despite a persistent ringing in your ears? You may be suffering from tinnitus, a whooshing or whistling sound caused by hearing loss or blockages in the ear canal. Our hearing care providers can perform a series of tests to get to the root cause of your tinnitus, and will create a custom-made solution to stop the annoying ringing in your ears. Sound Advice Hearing Aid Centers has many offices to help Maryland patients struggling with hearing loss, including additional locations in Delaware. Click on one of our office pages today for easy driving directions to the location nearest you!